Inkspire Me: Join Stampin' Up! for only $25! Yes, really, just $25. I had to read it a couple of times myself to make sure I had it right! 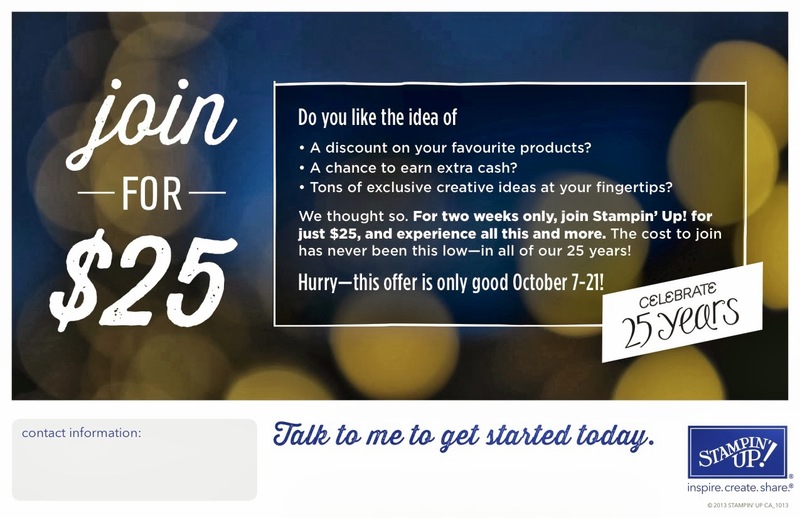 To celebrate their 25th anniversary, Stampin' Up! is offering the $25 starter kit from October 7-21.